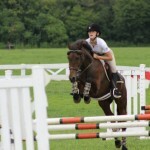 Cranberry Acres proudly offers instruction in both the western and huntseat style of riding. Instruction is available for riders of all ages and abilities. 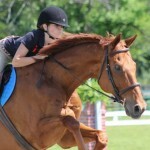 Riders may take lessons on their own horse or on one of our school horses. Horses are available for every level of ability. Boarding: Facilities to board up to 15 horses. Boarded horses are kept in fields with metal sheds and round bales available for their comfort. Stalls and tack areas are provided for each boarder. Horses are kept outside, stalled when necessary. Start Under Saddle: Break and train new horses of all breeds. Training begins with handling, ground work, and obedience, onto saddle and rider acceptance. Once the horse is acclimated to riding, specific discipline training is provided at the owners direction. Horse Recovery or Retirement: Boarding and care for horses that are recovering from an injury or have been retired from active use.